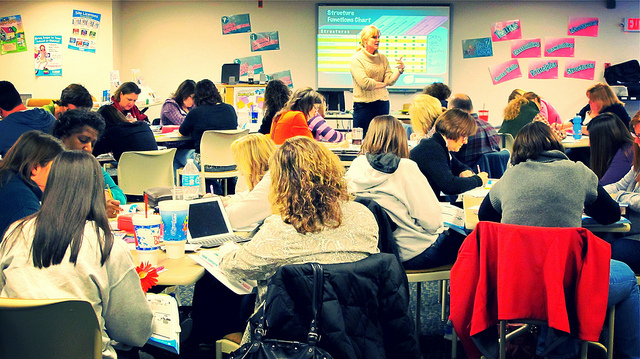 Cooperating School Districts hosted a two-day Kagan workshop January 8 & 9. They provide simple, step-by-step tools that can easily be incorporated into daily lessons to make learning more fun and successful. Here are a couple photos from the professional development days. See more images at Flickr.com/photos/csd-stl.